Dr. Reader carried out his doctoral research at the Institute of Cancer Research (University of London, UK) before taking up a lectureship in 1999 at the University of Manchester Institute of Science and Technology (UMIST). 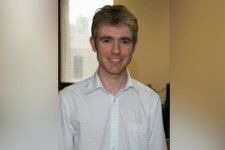 After a sabbatical in 2005 working at an INSERM unit in Paris and at Orsay, he was promoted to senior lecturer at the University of Manchester (UK). He was appointed as an associate professor at McGill University in 2008, based in the brain imaging centre (BIC) of the Montreal Neurological Institute (MNI) where he also continues to hold a Canada Research Chair in positron emission tomography (PET) imaging (renewed until 2018). Dr. Reader’s research concerns advancing the fields of 3D and 4D image reconstruction, system modeling, data correction and analysis for positron emission tomography (PET). Innovations in these areas can significantly improve image quality for functional and molecular imaging of the human body, improving image resolution and even halving the error levels in functional parameters compared to conventional data processing techniques. * Schirrmacher R, Bernard-Gauthier V, Reader AJ, Soucy JP, Schirrmacher E, Wängler B and Wängler C 2013 “Design of brain imaging agents for positron emission tomography: Do large bioconjugates provide an opportunity for in vivo brain imaging?” Future Medicinal Chemistry 5 (14) , pp. 1621-1634. * Bieth M, Lombaert H, Reader AJ, Siddiqi K. 2013 “Atlas construction for dynamic (4D) PET using diffeomorphic transformations” Med Image Comput Comput Assist Interv. 16(Pt 2):35-42. * Kotasidis FA, Angelis GI, Anton-Rodriguez J, Matthews JC, Reader AJ, Zaidi H. 2014 Isotope specific resolution recovery image reconstruction in high resolution PET imaging. Med Phys. 41(5):052503. doi: 10.1118/1.487098. Dr. Pike obtained his undergraduate degree in electrical engineering from Memorial University and his M.Sc. and Ph.D. (Hons., 1990) at McGill University with his thesis research focused on stereotactic radiosurgery and magnetic resonance angiography respectively. He conducted postdoctoral studies in Radiological Sciences at Stanford University and joined the faculty of McGill in 1993. 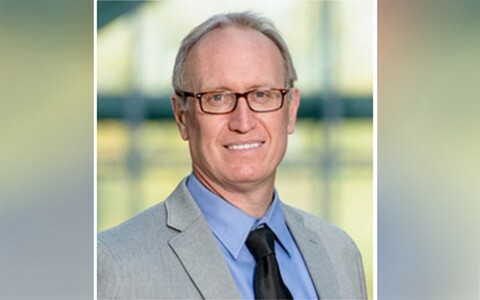 From 1999J2013 Dr. Pike was Director of the McConnell Brain Imaging Centre at the Montreal Neurological Institute and was the Killam Professor of Neurology & Neurosurgery and a James McGill Professor with appointments in Medical Physics and Biomedical Engineering. In September 2013 Dr. Pike joined the University of Calgary as the CAIP Chair in Healthy Brain Aging and Head of the Division of Image Science and Deputy Head (Research) in the Department of Radiology. He is also a Professor of Clinical Neurosciences and member of the Hotchkiss Brain Institute. Dr. Pike investigates magnetic resonance imaging (MRI) methods and applications for basic and clinical neuroscience research. His recent research has focused on quantitative MRI techniques for measuring tissue microstructure and physiology. He has used his methods to demonstrate focal pathology in multiple sclerosis patients that antedate the development of conventional MRI visible lesions by up to two years. He has also performed pioneering studies on the relationship between cerebral blood flow and oxygen metabolism in the cortex over a broad range of activation and inhibition conditions in healthy subjects and patients. Dr. Pike has published more than 200 scientific papers and book chapters, is an editor of the journal NeuroImage, chairs the CIHR MPI grants panel, and serves on the advisory board for numerous international programs. Xiao Y, Fonov V, Bériault S, Subaie FA, Chakravarty MM, Sadikot AF, Pike GB, Collins DL. Multi-contrast unbiased MRI atlas of a Parkinson’s disease population. Int J Comput Assist Radiol Surg. 2014 May 20. [Epub ahead of print]. Bériault S, Sadikot AF, Alsubaie F, Drouin S, Collins DL, Pike G. Neuronavigation using susceptibility-weighted venography: application to deep brain stimulation and comparison with gadolinium contrast. J Neurosurg. 2014 May 16:1-11. [Epub ahead of print]. Voss P, Pike BG, Zatorre RJ. Evidence for both compensatory plastic and disuse atrophy-related neuroanatomical changes in the blind. Brain. 2014 Apr;137(Pt 4):1224-40. Wong AP, Pipitone J, Park MT, Dickie EW, Leonard G, Perron M, Pike BG, Richer L, Veillette S, Chakravarty MM, Pausova Z, Paus T. Estimating volumes of the pituitary gland from T1-weighted magnetic-resonance images: Effects of age, puberty, testosterone, and estradiol. NeuroImage, 94, 216-21, Jul 2014. Alonso-Ortiz E, Levesque IR, Pike GB. MRI-based myelin water imaging: A technical review. Magn Reson Med. 2014 Mar 6. doi: 10.1002/mrm.25198. [Epub ahead of print]. Stikov N, Boudreau M, Levesque IR, Tardif CL, Barral JK, Pike GB. On the accuracy of T1 mapping: Searching for common ground. Magn Reson Med. 2014 Feb 27. doi: 10.1002/mrm.25135. [Epub ahead of print]. Thompson PM, et al., e ENIGMA Consortium: large-scale collaborative analyses of neuroimaging and genetic data. Brain Imaging Behav. 2014 Jun;8(2):153-82. Klepousniotou E, Gracco VL, Pike GB. Pathways to lexical ambiguity: fMRI evidence for bilateral fronto-parietal involvement in language processing. Brain Lang. 2014 Apr;131:56-64. Raux M, Tyvaert L, Ferreira M, Kindler F, Bardinet E, Karachi C, Morelot-Panzini C, Gotman J, Pike GB, Koski L, Similowski T. Functional magnetic resonance imaging suggests automatization of the cortical response to inspiratory threshold loading in humans. Respir Physiol Neurobiol. 2013 Dec 1;189(3):571-80. Campbell JS, Pike GB. Potential and limitations of diffusion MRI tractography for the study of language, Brain Lang. 2014 Apr;131:65-73. Marečková K, Chakravarty MM, Huang M, Lawrence C, Leonard G, Perron M, Pike BG, Richer L, Veillette S, Pausova Z, Paus T. Does skull shape mediate the relationship between objective features and subjective impressions about the face?. Neuroimage. 2013 Oct 1;79:234-40. Pike G.B.. Interpreting Therapeutic Effect in Multiple Sclerosis via MRI Contrast Enhancing Lesions: Now You See Them, Now You Don’t. Journal of Neurology, JOON-D-13-01434R1, in press. †Klepousniotou E, Pike GB, Steinhauer K, Gracco V. Not all ambiguous words are created equal: An EEG investigation of homonymy and polysemy. Brain and Language, Oct;123(1):11-21. July 21, 2012. Rittner L., Campbell J.S.W., Freitas P.F., Appenzeller S., Pike G.B. and Lotufo R.A. Analysis of scalar maps for the segmentation of the corpus callosum in diffusion tensor fields. Journal of Mathematical Imaging and Vision. 2013: 45:214-226. Sept 2012 [Epub ahead of print]. DOI 10.1007/s10851-012-0377-4. Tardif CL, Bedell BJ, Eskildsen SF, Collins DL, Pike GB. Quantitative magnetic resonance imaging of cortical multiple sclerosis pathology. Mult Scler Int. 2012;2012:742018. doi: 10.1155/2012/742018. Epub 2012 Nov 18, 2013. Issam El Naqa received his B.Sc. (1992) and M.Sc. 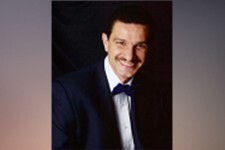 (1995) in Electrical and Communication Engineering from the University of Jordan, Jordan and was awarded a first place young investigator award for his M.Sc. work. He worked as a software engineer at the Computer Engineering Bureau (CEB), Jordan, 1995G1996. He was awarded a DAAD scholarship to Germany, where he was a visiting scholar at the RWTH Aachen, 1996G 1998. He completed his Ph.D. (2002) in Electrical and Computer Engineering from Illinois Institute of Technology, Chicago, IL, USA, receiving highest academic distinction award for his PhD work. He completed an M.A. 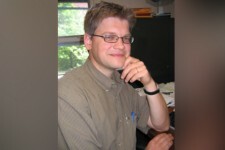 (2007) in Biology Science from Washington University in St. Louis, St. Louis, MO, USA, where he was pursuing a postGdoctoral fellowship in medical physics and was subsequently hired as a Instructor (2005G2007) and then an Assistant Professor (2007G2010) at the departments of radiation oncology and the division of biomedical and biological sciences and was an adjunct faculty at the department of Electrical engineering. He is currently an Associate Professor at McGill University Health Centre/Medical Physics Unit and associate member of at the departments of Physics, Biomedical Engineering, and Experimental medicine. He is certified Medical Physicist by the American Board of Radiology. 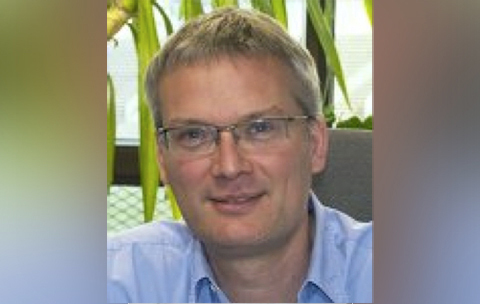 He is a recognized expert in the fields of image processing, bioinformatics, computational radiobiology, and treatment outcomes modeling and has published extensively in these areas. He is an acting member of several academic and professional societies, which include IEEE, AAPM, ASTRO, ESTRO, and COMP and participates in their meetings and serves in their task groups. His research has been funded by several federal and private grants and serves as a peerGreviewer and associate editor for several leading international journals in his areas of expertise. He is currently a designated FRSQ and CIHR scholar. Bioinformatics: design and develop datamining methods and software tools to identify robust biomarkers of treatment outcomes from clinical and preclinical data. Multimodality image-guided and adaptive radiotherapy: design and develop methods and algorithms for multimodality registration/segmentation, feature extraction, and real time treatment planning optimization. Sangkyu Lee, Gabriela Stroian, Neil Kopek, Mahmood AlBahhar, Jan Seuntjens and Issam El Naqa, Analytical modeling of regional radiotherapy dose response of lung, Phys. Med. Biol. 57 3309–3321, 2012. Issam El Naqa, Piotr Pater, Jan Seuntjens, Monte Carlo Role in Radiobiological Modeling of Radiotherapy Outcomes, Phys. Med. Biol. 57 R75-R97, 2012. Rawan Al-Lozi, Aditya Apte, David B. Mansur, “Determination of planning target volume for whole stomach irradiation using daily megavoltage CT images,” Practical Radiation Oncology 2(4), e85-e88, October 2012. B. White, T. Zhao , J. Lamb , S. Wuenschel , J. Bradley , I. El Naqa , D. Low, “Distribution of Lung Tissue Motion During Free Breathing,” Medical Physics, Med Phys. 2013 Apr;40(4). Daniel Markel, Habib Zaidi, Issam El Naqa, “Novel Multimodality Segmentation using Level Sets and Jensen-Renyi Divergence,” Medical Physics, 40, 121908 (2013). El Naqa I., “The role of quantitative PET in predicting cancer treatment outcomes,” Special issue on Trends in PET Quantification, Clinical and Translational Imaging, 2014 (invited). El Naqa I., “”Biomedical informatics and pharmacogenomics,” WIRES: Data Mining and Knowledge Discovery, 2014 (invited). Ola M Maria, Ahmed M Maria, Norma Ybarra, PhD, Krishinima Jeyaseela, Sangkyu Lee, Jessica Perez, Shirley Lehnert, Sergio Faria, Monica Serban, Jan Seuntjens, Issam El Naqa, “Investigation of Stem-like Cells Role in Regional Radiosensitivity of the Lung,” Radiation Oncology, submitted. M. Hatt, J. Lee, C. Caldwell, I. El Naqa, C.R. Schmidtlein, E. De Bernardi, W. Lu, U. Nestle, D. Visvikis, T. Shepherd, S. Das, O. Mawlawi, V. Gregoire, H. Schöder, R. Jeraj, A. Pugachev, E. Spezi, M. MacManus, X. Geets, H. Zaidi, A.S. Kirov, “Report of AAPM TG211: Classification and evaluation strategies of auto-segmentation approaches for PET, Medical Physics, submitted. Research topics revolve around the applications of advanced dosimetry techniques in clinical radiation therapy. This includes development of new detectors in small field dosimetry, radiation standards, as well as the application of Monte Carlo techniques for radiation transport calculations at the macro and microscopic level. Dr. Seuntjens is also investigating the application and clinical translation of modulated electron radiation therapy as well as other clinically-inspired research topics in a collaborative context with other PIs. 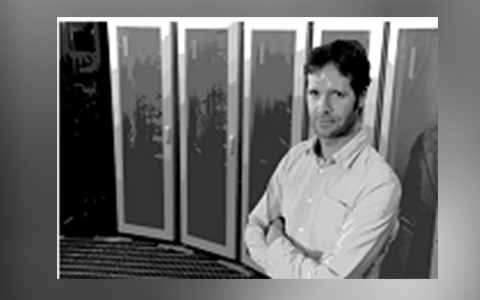 Dr. Seuntjens’ research is supported by the CIHR and NSERC. Devic S, Tomic N, Aldelaijan S, Deblois F, Seuntjens J, Chan M, Lewis D (2012) Linearization of dose–response curve of the radiochromic film dosimetry system Med. Phys. 39(8), 4850-4857. Alexander A, Soisson E, Renaud MA, Seuntjens J (2012) Direct aperture optimization for FLEC-based MERT and its application in mixed beam radiotherapy, Med. Phys. 39(8), 4820-4831. E. Conneely, A. Alexander, G. Stroian, Seuntjens J (2013) An investigation into the use of MMCTP to tune accelerator source parameters and testing its clinical application, J Appl Clin Med Phys 4(2); 3692. Tran, S. D., Liu, Y., Xia, D., Maria, O. M., Khalili, S., Wang, R. W-Y., Quan, V-H., Hu, S, and Seuntjens JP (2013) Paracrine effects of Bone Marrow Soup restore organ function, regeneration, and repair in salivary glands damaged by irradiation, PLoS One 24(8); e61632. Morin J, Béliveau-Nadeau D, Chung E, Seuntjens J, Thériault D, Archambault L, Beddar S, and Luc Beaulieu (2013) A comparative study of small field total scatter factors and dose profiles using plastic scintillation detectors and other stereotactic dosimeters: The case of the CyberKnife, Med. Phys. 40(1), 011719. Renaud J, Marchington D, Seuntjens JP, Sarfehnia A (2013) Development of a graphite probe calorimeter for absolute clinical dosimetry, Med Phys (Letters) 40(2) 020701-01-06. J Seuntjens, E Chung, E Soisson (2013) Reply to “Comment on ‘Dose homogeneity specification for reference dosimetry of nonstandard fields”, Med. Phys. 39, 407–414 (2012), Med Phys (Letters) 40(3) 037102. P Papaconstadopoulos, J Seuntjens (2013) A source model for modulated electron radiation therapy using dynamic jaw movements, Med. Phys. 40(5), 051707-1-051707-12. E Chung, S Davis, J Seuntjens (2013) Experimental analysis of general ion recombination in a liquid-filled ionization chamber in high-energy photon beams, Med. Phys. 40(6), 062104-1-062104-7. McEwen, L. DeWerd, G. Ibbott, D. Followill, D. W. O. Rogers, S. Seltzer, and J Seuntjens (2014) Addendum to the AAPM’s TG-51 Protocol for Clinical Reference Dosimetry of High-Energy Photon Beams, Med Phys 41:041501. H Bekerat, S. Devic, F. Deblois, K. Singh, A. Sarfhenia, J Seuntjens, S.Shih, X. Gyu, and D. Lewis (2014) Improving the Energy Response of External Beam Therapy (EBT) GAFCHROMIC™ Dosimetry Films at Low Energies (≥100 keV), Med Phys 41(2):022101. doi: 10.1118/1.4860157. Tomic N, Quintero C, Whiting BR, Aldelaijan S, Bekerat H, Liang L, DeBlois F, Seuntjens J, Devic S. (2014) Characterization of calibration curves and energy dependence GafChromic(TM) XR-QA2 model based radiochromic film dosimetry system. Med Phys. 41(6):062105. doi: 10.1118/1.4876295. Conneely E, Alexander A, Ruo R, Chung E, Seuntjens J., Foley MJ. (2014) Monte Carlo investigation of collapsed versus rotated IMRT plan verification. J Appl Clin Med Phys. 15(3):4681. doi: 10.1120/jacmp.v15i3.4681. Connell T, Alexander A, Papaconstadopoulos P, Serban M, Devic S, Seuntjens J, (2014) Delivery validation of an automated modulated electron radiotherapy plan. Med Phys. 41(6):061715. doi: 10.1118/1.4876297. Connell T, Seuntjens J, (2014) Design and validation of novel scattering foils for modulated electron radiation therapy. Phys Med Biol. 59(10):2381-91. 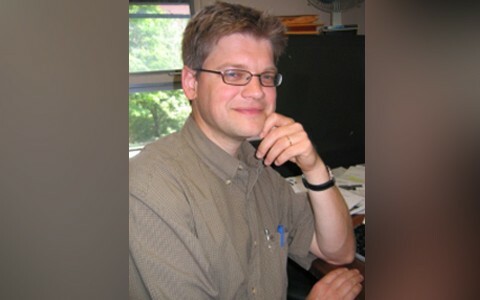 Jay L. Nadeau is an Associate Professor of Biomedical Engineering and Physics at McGill University (2004Gpresent) whose research interests include nanoparticles, fluorescence imaging, and development of instrumentation for detection of life elsewhere in the Solar System. Her group was the first to label bacteria with quantum dots, and to explore the possibility of using fluorescent labels as tools for detection of traces of extraterrestrial life. Every year she travels to the Canadian High Arctic to do field work at the McGill Arctic Research Station (MARS), a Mars analog site at nearly 80 degrees North latitude. She has published over fifty papers on topics ranging from theoretical condensed matter physics to experimental neurobiology to development of antiGcancer drugs, in the process using almost every single one of the techniques described in this book. Her work has been featured in New Scientist, Highlights in Chemical Biology, Radio Canada’s Les Années lumière, Le Guide des Tendances, and in educational displays in schools and museums. Her research group features chemists, microbiologists, roboticists, physicists, and physicianG scientists, all learning from each other and hoping to speak each other’s language. A believer in bringing biology to the physicists as well as physics to the biologists, she has created two graduate level courses: Methods in Molecular Biology for Physical Scientists and Mathematical Cellular Physiology. She also teaches Pharmacology in the medical school and is actively involved in creating and improving multipleGmini interviews (MMIs) for medical school admission. She received her PhD in physics from the University of Minnesota in 1996. The research in the Nadeau lab focuses on design of nanomaterials with photophysical properties that allow them to push the boundaries of biological sensing and targeting. By creating probes that are brighter, longerGlasting, sensitive to novel processes and at smaller spatial scales, we will be able to create therapeutic agents as well as to address critical biological questions such as how networks of cells communicate, how bacterial biofilms form, and what signals are critical for inducing cell death. Specific projects include: biofunctionalization of heavyGmetalGfree semiconductor quantum dots (QDs) for in vivo theranostics; generation of targeted gold nanoparticle conjugates for clinical trials in melanoma and other cancers; development of radiosensitizing nanoparticles for cancer therapy; and development and testing of techniques and instruments for realGtime, 3D cellular imaging, including holographic microscopy and photoacoustic imaging. Photoluminescence of cerium fluoride and cerium-doped lanthanum fluoride nanoparticles and investigation of energy transfer to photosensitizer molecules. Cooper DR, Kudinov K, Tyagi P, Hill CK, Bradforth SE, Nadeau JL. Phys Chem Chem Phys. 2014 May 28;16(24):12441-53. doi: 10.1039/c4cp01044b. Immobilized phage proteins for specific detection of staphylococci. Chibli H, Ghali H, Park S, Peter YA, Nadeau JL. Analyst. 2014 Jan 7;139(1):179-86. doi: 10.1039/c3an01608k. Epub 2013 Nov 20. Comparison of cytotoxicity and expression of metal regulatory genes in zebrafish (Danio rerio) liver cells exposed to cadmium sulfate, zinc sulfate and quantum dots. Tang S, Allagadda V, Chibli H, Nadeau JL, Mayer GD. Metallomics. 2013 Oct;5(10):1411-22. doi: 10.1039/c3mt20234h. Cadmium sulfate and CdTe-quantum dots alter DNA repair in zebrafish (Danio rerio) liver cells. Tang S, Cai Q, Chibli H, Allagadda V, Nadeau JL, Mayer GD. Toxicol Appl Pharmacol. 2013 Oct 15;272(2):443-52. Differential effects of β-mercaptoethanol on CdSe/ZnS and InP/ZnS quantum dots. Georgin M, Carlini L, Cooper D, Bradforth SE, Nadeau JL. Phys Chem Chem Phys. 2013 Jul 7;15(25):10418-28. doi: 10.1039/c3cp50311a. Epub 2013 May 17. Uptake and processing of semiconductor quantum dots in living cells studied by fluorescence lifetime imaging microscopy (FLIM). Carlini L, Nadeau JL. Chem Commun (Camb). 2013 Feb 28;49(17):1714-6. doi: 10.1039/c3cc36326k. InP/ZnS as a safer alternative to CdSe/ZnS core/shell quantum dots: in vitro and in vivo toxicity assessment. Brunetti V, Chibli H, Fiammengo R, Galeone A, Malvindi MA, Vecchio G, Cingolani R, Nadeau JL, Pompa PP. Nanoscale. 2013 Jan 7;5(1):307-17. doi: 10.1039/c2nr33024e. Epub 2012 Nov 19. Conductance switching in the photoswitchable protein Dronpa. Korpany KV, Langat P, Kim DM, Edelman N, Cooper DR, Nadeau J, Blum AS. J Am Chem Soc. 2012 Oct 3;134(39):16119-22. doi: 10.1021/ja306031n. Epub 2012 Sep 19. Solubilization and bio-conjugation of quantum dots and bacterial toxicity assays by growth curve and plate count. Park S, Chibli H, Nadeau J. J Vis Exp. 2012 Jul 11;(65):e3969. doi: 10.3791/3969. Comparative cytotoxicity of gold-doxorubicin and InP-doxorubicin conjugates. Zhang X, Chibli H, Kong D, Nadeau J. Nanotechnology. 2012 Jul 11;23(27):275103. doi: 10.1088/0957-4484/23/27/275103. Epub 2012 Jun 19. Tunable oscillations and chaotic dynamics in systems with localized synthesis. Naqib F, Quail T, Musa L, Vulpe H, Nadeau J, Lei J, Glass L. Phys Rev E Stat Nonlin Soft Matter Phys. 2012 Apr;85(4 Pt 2):046210. Epub 2012 Apr 16. Cytotoxicity of InP/ZnS quantum dots related to reactive oxygen species generation. Chibli H, Carlini L, Park S, Dimitrijevic NM, Nadeau JL. Nanoscale. 2011 Jun;3(6):2552-9. doi: 10.1039/c1nr10131e. Epub 2011 Apr 21. Antimicrobial activity and cellular toxicity of nanoparticle-polymyxin B conjugates. Park S, Chibli H, Wong J, Nadeau JL. Nanotechnology. 2011 May 6;22(18):185101. Ultrasmall gold-doxorubicin conjugates rapidly kill apoptosis-resistant cancer cells. Zhang X, Chibli H, Mielke R, Nadeau J. Bioconjug Chem. 2011 Feb 16;22(2):235-43. Photosensitization of CdSe/ZnS QDs and reliability of assays for reactive oxygen species production. Cooper DR, Dimitrijevic NM, Nadeau JL. Nanoscale. 2010 Jan;2(1):114-21. doi: 10.1039/b9nr00130a. 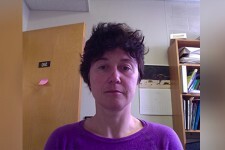 Dr. Collins works on the use of computerized image processing techniques such as non-linear image registration and model-based segmentation to automatically identify structures within the human brain and to quantify anatomical variability. He investigates neuroscientific applications of three dimensional (3D) digital image processing methods for disease diagnosis, prognosis and image-guided surgery. These techniques are applied to large databases of magnetic resonance (MR) data from normal subjects to quantify normal anatomical variability in pediatric, young adult and elderly populations. The techniques have also been used to automatically quantify global and regional brain atrophy in MS patients and to look at morphological changes associated with diseases such as schizophrenia and Alzheimer’s dementia. In image-guided neurosurgery (IGNS), these techniques provide the surgeon with computerized tools to assist in interpreting anatomical, functional and vascular image data, permitting the effective planning and execution of minimally invasive neurosurgical procedures. Automated atlasing is essential in IGNS for thalamotomy and pallidotomy in the treatment of Parkinson’s disease, or temporal-lobe depth-electrode implantation in the diagnosis of epilepsy, since tissue targets in these procedures cannot be viewed directly on MR. Computerized atlasing minimizes trauma to the patient and allows resection of the smallest amount of brain tissue necessary for effective therapeutic treatment. 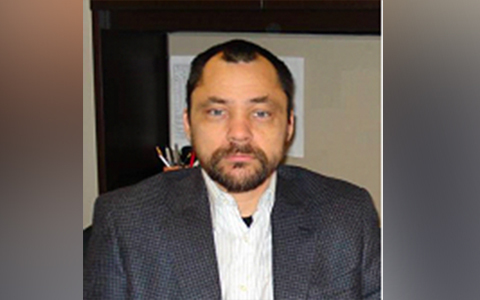 C. Elliot, DL Collins, D. L. Arnold, T Arbel,”Temporally Consistent Probabilistic Segmentation of New Multiple Sclerosis Lesions in Brain MRI”, IEEE Transactions on medical imaging 2013 Apr 16. [Epub ahead of print]. SF Eskildsen, P Coupé, D García-Lorenzo, V Fonov, JC Pruessner, DL Collins; Prediction of Alzheimer’s disease in subjects with mild cognitive impairment from the ADNI cohort using patterns of cortical thinning. Neuroimage. 2013 Jan 15;65:511-21. P.A. MacDonald, H. Ganjavi, D.L. Collins, S. Karama, A.C. Evans, The Brain Development Cooperative Group, “Investigating the relation between striatal volume and IQ”. Brain Imaging Behav. 2013 Jun 30. L. Mercier, D Araujo, C Haegelen, RF Del Maestro, K Petrecca, DL Collins, “Registering pre- and post-resection 3D ultrasound for improved residual brain tumor localization”, Ultrasound in Medicine and Biology, 2013 Jan;39(1):16-29. Xiao Y, Jannin P, D’Albis T, Guizard N, Haegelen C, Lalys F, Vérin M, Collins DL. Investigation of morphometric variability of subthalamic nucleus, red nucleus, and substantia nigra in advanced Parkinson’s disease patients using automatic segmentation and PCA-based analysis. Hum Brain Mapp. 2014 Feb 19. doi: 10.1002/hbm.22478. [Epub ahead of print]. Rivaz H, Karimaghaloo Z, Fonov VS, Collins DL. Nonrigid registration of ultrasound and MRI using contextual conditioned mutual information. IEEE Trans Med Imaging. 2014 Mar;33(3):708-25. 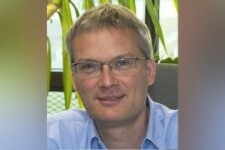 Luc Beaulieu received his PhD from Université Laval in 1996. After a postdoctoral fellowship in Berkeley, California, he worked as a research scientist at the Indiana University Cyclotron Facility in Bloomington. 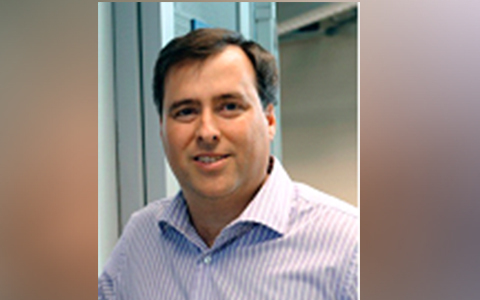 In 2000, he took the leadership of the medical physics research group at Quebec City University Hospital. Under his leadership, a formal graduate medical physics teaching curriculum was setGup and became CAMPEP accredited in 2011. 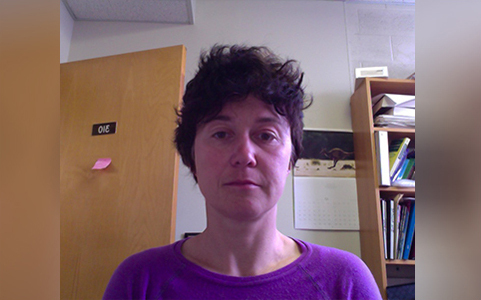 Dr. Beaulieu is a full professor (tenured) at Université Laval and Director of the CAMPEP graduate program. 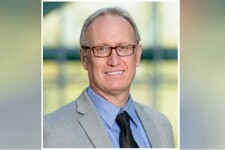 He is a member of the AAPM Brachytherapy Subcommittee, of TGG192, was the Chair of TGG186 (published in 2012) and now leads the AAPM/ESTRO/ABG Working Group on ModelGBased Dose Calculations in brachytherapy. As of 2014, he has mentored more than 65 graduate students and postdoctoral fellows, published 169 peerGreviewed manuscripts and over 330 abstracts at national and international meetings. He is a recognized expert in scintillation dosimetry and brachytherapy. The ongoing objective of Prof. Beaulieu’s research program is to increase the accuracy of dose measurements and dose calculations for any radiation based procedures including, but not limited to, radiation therapy, diagnostic and interventional radiology. This is achieved through a comprehensive research program combining elements of basic and applied research in medical physics and biomedical engineering. The program hinges on radiation physics, optics, numerical optimization problems, image and signal processing and highGperformance computing. The program is subGdivided along four main research tracks, namely 1) development of new radiation dosimeters, 2) applied medical image processing, 3) numerical computation in optimization problems and high precision particle transport and dose calculations, and 4) a developing trac. White SA, Landry G, Fonseca GP, Holt R, Rusch T, Beaulieu L, Verhaegen F, Reniers B., Comparison of TG-43 and TG-186 in breast irradiation using a low energy electronic brachytherapy source. Med Phys. 2014 Jun;41(6):061701. Afsharpour H, Walsh S, Collins Fekete CA, Vigneault E, Verhaegen F, Beaulieu L., On the sensitivity of α/β prediction to dose calculation methodology in prostate brachytherapy. Int J Radiat Oncol Biol Phys. 2014 Feb 1;88(2):345-50. Poulin E, Fekete CA, Létourneau M, Fenster A, Pouliot J, Beaulieu L. Adaptation of the CVT algorithm for catheter optimization in high dose rate brachytherapy. Med Phys. 2013 Nov;40(11):111724. doi: 10.1118/1.4826335. Lecavalier ME, Goulet M, Allen CN, Beaulieu L, Larivière D., Water-dispersable colloidal quantum dots for the detection of ionizing radiation. Chem Commun (Camb). 2013 Dec 25;49(99):11629-31. Desbiens M, D’Amours M, Afsharpour H, Verhaegen F, Lavallée MC, Thibault I, Vigneault É, Beaulieu L., Monte Carlo dosimetry of high dose rate gynecologic interstitial brachytherapy. Radiother Oncol. 2013 Dec;109(3):425-9. Goulet M, Archambault L, Beaulieu L, Gingras L., 3D tomodosimetry using long scintillating fibers: a feasibility study. Med Phys. 2013 Oct;40(10):101703. Mashouf S, Lechtman E, Beaulieu L, Verhaegen F, Keller BM, Ravi A, Pignol JP., A simplified analytical dose calculation algorithm accounting for tissue heterogeneity for low-energy brachytherapy sources. Phys Med Biol. 2013 Sep 21;58(18):6299-315. Guillot M, Gingras L, Archambault L, Beddar S, Beaulieu L.Performance assessment of a 2D array of plastic scintillation detectors for IMRT quality assurance. Phys Med Biol. 2013 Jul 7;58(13):4439-54. Therriault-Proulx F, Beddar S, Beaulieu L., On the use of a single-fiber multipoint plastic scintillation detector for 192Ir high-dose-rate brachytherapy. Med Phys. 2013 Jun;40(6):062101. Therriault-Proulx F, Beaulieu L, Archambault L, Beddar S., On the nature of the light produced within PMMA optical light guides in scintillation fiber-optic dosimetry. Phys Med Biol. 2013 Apr 7;58(7):2073-84. Morin J, Beliveau-Nadeau D, Chung E, Seuntjens J, Theriault D, Archambault L, Beddar S, Beaulieu L., A comparative study of small field total scatter factors and dose profiles using plastic scintillation detectors and other stereotactic dosimeters: the case of the CyberKnife. Med Phys. 2013 Jan;40(1):011719. Klein D, Briere TM, Kudchadker R, Archambault L, Beaulieu L, Lee A, Beddar S. In-phantom dose verification of prostate IMRT and VMAT deliveries using plastic scintillation detectors. Radiat Meas. 2012 Oct 1;47(10):921-929. Therriault-Proulx F, Archambault L, Beaulieu L, Beddar S. Development of a novel multi-point plastic scintillation detector with a single optical transmission line for radiation dose measurement. Phys Med Biol. 2012 Nov 7;57(21):7147-59. Archambault L, Therriault-Proulx F, Beddar S, Beaulieu L. A mathematical formalism for hyperspectral, multipoint plastic scintillation detectors. Phys Med Biol. 2012 Nov 7;57(21):7133-45. Beaulieu L, Carlsson Tedgren A, Carrier JF, Davis SD, Mourtada F, Rivard MJ, Thomson RM, Verhaegen F, Wareing TA, Williamson JF. Report of the Task Group 186 on model-based dose calculation methods in brachytherapy beyond the TG-43 formalism: current status and recommendations for clinical implementation. Med Phys. 2012 Oct;39(10):6208-36. 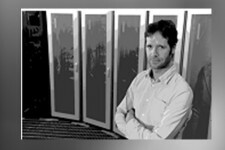 Philippe Després is an Assistant Professor in the Department of Physics, Engineering Physics and Optics at Université Laval and a Medical Physicist at CHU de Québec. He was trained at Université Laval (MSc 2000, Physics), Université de Montréal (PhD 2005, Physics) and University of California, San Francisco (postdoc 2005G2007, Biomedical Engineering, Molecular Imaging). He has been involved in numerous projects encompassing hardware and software aspects of medical imaging modalities such as XGray, CT, PET and SPECT. 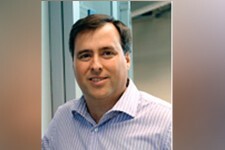 He has worked on lowGdose XGray imaging (scanningGslit xenon microstrip detector), advanced imaging techniques (multiG energy XGray imaging), and solidGstate detectors for molecular imaging (PSAPD and CZTGbased PET and SPECT). He also has developed highGperformance computing approaches with commodity graphics hardware (GPUs) that have led to innovative applications in image processing/reconstruction and radiation dose calculation, including a fast GPUGbased Monte Carlo engine to simulate energy transport in matter. He holds grants from NSERC, CIHR, FRQGS and has established research collaborations with numerous industrial and academic partners both locally and abroad. The research program pursued by Prof. Després is geared towards the use of highGperformance computing to tackle problems in Medical Physics. Specifically, physicsGrich models are used to reach better, more accurate solutions in a variety of clinical situations. These physicsGrich models however are numerically challenging and usually require large computing resources. As these problems are often intrinsically parallel, they can be implemented on Graphics Processing Units (GPUs) and benefit from their massively parallel architecture (hundreds of cores per processor). Therefore, the numerical burden of realistic modeling is alleviated by the use of GPUs; acceleration factors of 10 to 1000x have been achieved with this technology compared to traditional CPU implementations. This level of performance lets envision the clinical deployment of better solutions in radiation dose calculation and tomographic image reconstructionG. In the first case, a fast GPUG based Monte Carlo engine was developed to simulate the transport of energy in matter. This allows for more accurate dose calculations in external beam radiation therapy, brachytherapy, radiology and nuclear medicine while maintaining calculation times that are compatible with a clinical workflow. In tomographic image reconstruction, GPUG accelera ed iterative algorithms integrating physicsGbased priors have been developed to achieve fewGviews, lowGdose or artefact suppressing solutions. In PET and SPECT molecular imaging, efforts are invested in the development of a quantitative imaging platform. An automatic blood activity counter is being developed to monitor the amount of radiotracer available for uptake as a function of time in order to feed pharmacokinetic models and extract valuable physiological information from imaging studies. Lucas-Hourani M, Munier-Lehmann H, Helynck O, Komarova A, Desprès P, Tangy F, Vidalain PO. High-throughput Screening for Broad-spectrum Chemical Inhibitors of RNA Viruses. J Vis Exp. 2014 May 5;(87). Tangy F, Desprès P., Yellow fever vaccine attenuation revealed: loss of diversity. J Infect Dis. 2014 Feb 1;209(3):318-20. La Ruche G, Dejour-Salamanca D, Bernillon P, Leparc-Goffart I, Ledrans M, Armengaud A, Debruyne M, Denoyel GA, Brichler S, Ninove L, Desprès P, Gastellu-Etchegorry M., Capture-recapture method for estimating annual incidence of imported dengue, France, 2007-2010. Emerg Infect Dis. 2013 Nov;19(11):1740-8. Lernout T, Cardinale E, Jego M, Desprès P, Collet L, Zumbo B, Tillard E, Girard S, Filleul L., Rift valley fever in humans and animals in Mayotte, an endemic situation? PLoS One. 2013 Sep 30;8(9):e74192. doi: 10.1371/journal.pone.0074192. Lucas-Hourani M, Dauzonne D, Jorda P, Cousin G, Lupan A, Helynck O, Caignard G, Janvier G, André-Leroux G, Khiar S, Escriou N, Desprès P, Jacob Y, Munier-Lehmann H, Tangy F, Vidalain PO., Inhibition of pyrimidine biosynthesis pathway suppresses viral growth through innate immunity. PLoS Pathog. 2013;9(10):e1003678. doi: 10.1371/journal.ppat.1003678. Epub 2013 Oct 3. Gandini M, Gras C, Azeredo EL, Pinto LM, Smith N, Despres P, da Cunha RV, de Souza LJ, Kubelka CF, Herbeuval JP., Dengue virus activates membrane TRAIL relocalization and IFN-α production by human plasmacytoid dendritic cells in vitro and in vivo. PLoS Negl Trop Dis. 2013 Jun 6;7(6):e2257. doi: 10.1371/journal.pntd.0002257. Print 2013. Larrieu S, Cardinale E, Ocquidant P, Roger M, Lepec R, Delatte H, Camuset G, Desprès P, Brottet E, Charlin C, Michault A., A fatal neuroinvasive West Nile virus infection in a traveler returning from Madagascar: clinical, epidemiological and veterinary investigations. Am J Trop Med Hyg. 2013 Aug;89(2):211-3. Brandler S, Ruffié C, Combredet C, Brault JB, Najburg V, Prevost MC, Habel A, Tauber E, Desprès P, Tangy F., A recombinant measles vaccine expressing chikungunya virus-like particles is strongly immunogenic and protects mice from lethal challenge with chikungunya virus. Vaccine. 2013 Aug 12;31(36):3718-25. Bahuon C, Desprès P, Pardigon N, Panthier JJ, Cordonnier N, Lowenski S, Richardson J, Zientara S, Lecollinet S., IS-98-ST1 West Nile virus derived from an infectious cDNA clone retains neuroinvasiveness and neurovirulence properties of the original virus. PLoS One. 2012;7(10):e47666. doi: 10.1371/journal.pone.0047666. Epub 2012 Oct 23. Lucas-Hourani M, Lupan A, Desprès P, Thoret S, Pamlard O, Dubois J, Guillou C, Tangy F, Vidalain PO, Munier-Lehmann H., A phenotypic assay to identify Chikungunya virus inhibitors targeting the nonstructural protein nsP2. J Biomol Screen. 2013 Feb;18(2):172-9. Nassiri MA, Hissoiny S, Carrier JF, Després P., Fast GPU-based computation of the sensitivity matrix for a PET list-mode OSEM algorithm. Phys Med Biol. 2012 Oct 7;57(19):6279-93. Lessard F, Archambault L, Plamondon M, Despres P, Therriault-Proulx F, Beddar S, Beaulieu L., Validating plastic scintillation detectors for photon dosimetry in the radiologic energy range. Med Phys. 2012 Sep;39(9):5308-16. Henrik Gad H, Paulous S, Belarbi E, Diancourt L, Drosten C, Kümmerer BM, Plate AE, Caro V, Desprès P., The E2-E166K substitution restores Chikungunya virus growth in OAS3 expressing cells by acting on viral entry. Virology. 2012 Dec 5;434(1):27-37. Hissoiny S, D’Amours M, Ozell B, Despres P, Beaulieu L., Sub-second high dose rate brachytherapy Monte Carlo dose calculations with bGPUMCD. Med Phys. 2012 Jul;39(7):4559-67. Seuntjens J, Beaulieu L, El Naqa I, Després P. Special section: Selected papers from the Fourth International Workshop on Recent Advances in Monte Carlo Techniques for Radiation Therapy. Phys Med Biol. 2012 Jun 7;57(11). doi: 10.1088/0031-9155/57/11/E01. Slobodan Devic obtained his M.Sc. degree in nonGideal plasma physics and his Ph.D. degree in Solid State Physics in 1997 at the University of Belgrade, Serbia. He moved to the USA in 1998 where he worked as a Research Associate in Radiation Oncology Physics at the Mallinckrodt Institute of Radiology, St. Louis, Missouri. Subsequently, he moved in 2000 to the Montreal General Hospital and McGill University where he was enrolled into the Medical Physics Residency program. Upon finishing his residency in 2002 he joined the Medical Physics Unit at the McGill University and, in 2008, he moved to his current position at the SMBD Jewish General Hospital in Montreal. He is a Fellow of the Canadian College of Physicists in Medicine and his major research interests are radiochromic film dosimetry and its applications, image guided brachytherapy with particular interest in preGoperative endorectal brachytherapy, and the incorporation of the functional imaging information into radiotherapy treatment planning process. Dr. Devic is also teaching Physics in Nuclear Medicine course at the McGill University and as of 2009 he became a member of the Editorial board of the Medical Physics journal. Han DY, Webster MJ, Scanderbeg DJ, Yashar C, Choi D, Song B, Devic S, Ravi A, Song WY. Direction-Modulated Brachytherapy for High-Dose-Rate Treatment of Cervical Cancer. I: Theoretical Design. nt J Radiat Oncol Biol Phys. 2014 Apr 18. pii: S0360-3016(14)00284-3. doi: 10.1016/j.ijrobp.2014.02.039. [Epub ahead of print]. Mujica-Mota MA, Lehnert S, Devic S, Gasbarrino K, Daniel SJ. Mechanisms of radiation-induced sensorineural hearing loss and radioprotection. Hear Res. 2014 Jun;312C:60-68. doi: 10.1016/j.heares.2014.03.003. Epub 2014 Mar 18. Review. Mujica-Mota MA, Devic S, Daniel SJ. The relevance of dosimetry in animal models of cochlear irradiation. Otol Neurotol. 2014 Apr;35(4):704-11. Mujica-Mota MA, Salehi P, Devic S, Daniel SJ. Safety and otoprotection of metformin in radiation-induced sensorineural hearing loss in the Guinea pig. Otolaryngol Head Neck Surg. 2014 May;150(5):859-65. Webster MJ, Devic S, Vuong T, Han DY, Scanderbeg D, Choi D, Song B, Song WY. HDR brachytherapy of rectal cancer using a novel grooved-shielding applicator design. Med Phys. 2013 Sep;40(9):091704. doi: 10.1118/1.4816677. Webster MJ, Devic S, Vuong T, Yup Han D, Park JC, Scanderbeg D, Lawson J, Song B, Tyler Watkins W, Pawlicki T, Song WY. Dynamic modulated brachytherapy (DMBT) for rectal cancer. Med Phys. 2013 Jan;40(1):011718. doi: 10.1118/1.4769416. S. Devic ” MRI simulation for radiotherapy treatment planning” Med Phys. 2012 Nov;39(11):6701-11. Ahmad S, Devic S, Orton CG. ” Point/Counterpoint: PET-based GTV definition is the future of radiotherapy treatment planning.” Med Phys. 2012 Oct; 39(10):5791-4. Devic S, Tomic N, Aldelaijan S, Deblois F, Seuntjens J, Chan MF, Lewis D. Linearization of dose-response curve of the radiochromic film dosimetry system. Med Phys. 2012 Aug;39(8):4850-7. Heravi M, Tomic N, Liang L, Devic S, Holmes J, Deblois F, Radzioch D, Muanza T. Sorafenib in combination with ionizing radiation has a greater anti-tumour activity in a breast cancer model, Anticancer Drugs. 2012 Jun;23(5):525-33. Arjomandy B, Tailor R, Zhao L, Devic S. EBT2 film as a depth-dose measurement tool for radiotherapy beams over a wide range of energies and modalities, Med Phys. 2012 Feb;39(2):912-21. Aldelaijan S, Mohammed H, Tomic N, Liang LH, Deblois F, Sarfehnia A, Abdel-Rahman W, Seuntjens J, Devic S. Radiochromic film dosimetry of HDR (192)Ir source radiation fields, Med Phys. 2011 Nov;38(11):6074-83. Boivin J, Tomic N, Fadlallah B, Deblois F, Devic S. Reference dosimetry during diagnostic CT examination using XR-QA radiochromic film model, Med Phys. 2011 Sep;38(9):5119-29. Montreal Website Design and Montreal Internet Marketing by MARAMEL Inc.